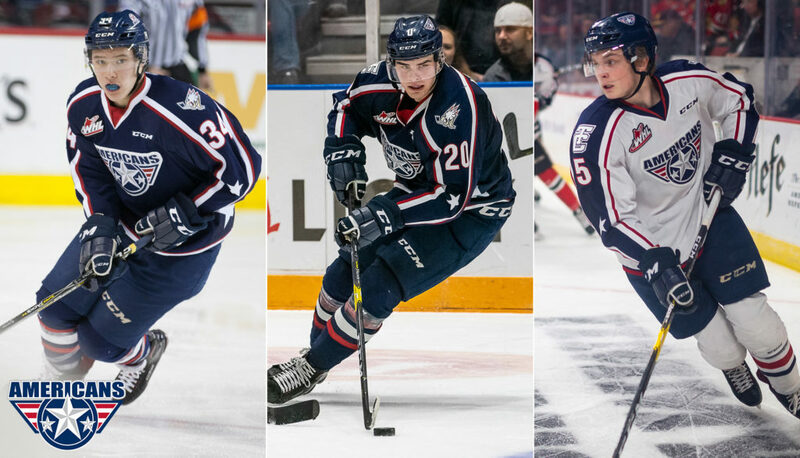 KENNEWICK, WA – The Tri-City Americans announced today that three Americans players have been listed by NHL Central Scouting in it’s final rankings in advance of the 2019 NHL Draft, scheduled for June 21-22 in Vancouver, BC. Forward Sasha Mutala is ranked 79th on the list. Selected by Tri-City in the first-round (6th overall) of the 2016 Bantam Draft, Mutala had an impressive Sophomore campaign with 41 points (20 goals, 21 assists) through 65 games. 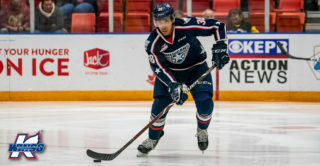 A season highlight for the Vancouver, BC-native was competing with Team Orr in the 2019 Sherwin-Williams CHL/NHL Top Prospects Game. Krystof Hrabik is ranked at 142nd. Tri-City selected Hrabik, a Czech-Republic-native, in the first-round (41st overall) of the 2018 CHL Import Draft. The forward posted 51 points (21 goals, 30 assists) in 63 games for Tri-City during his first WHL season. He competed with his home country at World Juniors in 2018 and 2019. Following Hrabik, Mitchell Brown is ranked at 168th. Tri-City selected the defenseman in the 2016 WHL Bantam Draft second-round (29th overall). In his second year with the Americans, Brown doubled his stats from last season with 16 points (4 goals, 12 assists) through 58 games. All three draft prospects were also listed by NHL Central Scouting in their midterm report released in January.